Sweet 'n' Savoury: Four Season's Gourmet Indulgence ! On entering the the classy venue at Park Hotel, Kolkata, I was immediately greeted with the options of a White and a Red wine. I spontaneously went for the red and after a swirl and smell reckoned it, without a doubt, to be the 'Barrique Reserve Cabernet Savignon'. The woody vanilla aroma was a clear indication of the wine matured in the oak barrels imported from France itself. Such was the impact of information imparted by Peter Mitter, Regional Manager -Trade & Marketing of UB Group, on our last wine trail event held in Kolkata. Earlier this month I was at one of the Four Season's retail outlet at a supermarket to buy the Barrique Reserve for someone who had come down from Canada, and who preferred wine over other spirits. In the outlet there was a couple who looked absolutely confused in their attempt to buy wine for a dinner party which they planned to host for their friends. Citing their bewildered look on their face, I offered myself to help, which they gladly accepted, and after a brief inquiry on their menu spread, which happened to be on the Mughlai cuisine with kebabs as starters, I was able to recommend them to go for Shiraz. If it was not for the Four Seasons Wine Trail Session, I would have been as lost as the couple I had helped in that outlet. The person from Canada, for whom I bought the wine, exclaimed that it was as good as any other international renowned wine. The Gourmet Indulgence was a reflection of the world of wine that opened up in front of us in conjunction to the food journey that we have been on. It was a perfect union of great food and great wine with the Executive Chef of Park Hotel, Chef Sharad Dewan, preparing the exotic food spread, and Abhay Kewadkar, Business Head (Wines) and Chief Wine Maker, United Spirits Limited marking their presence at the occasion. 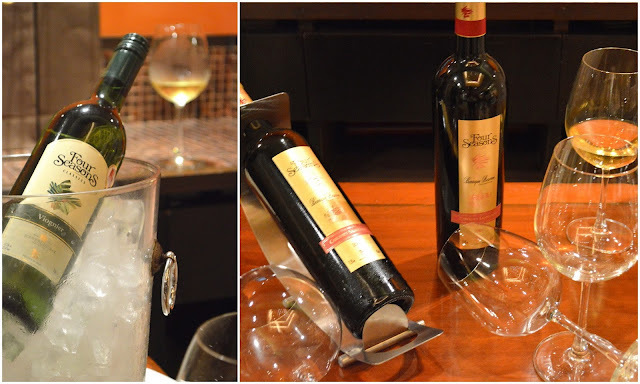 Abhay Kewadkar briefly shared with us the plans Four Seasons has to tie up with various restaurants and food joints beside their ongoing efforts to educate the larger audience into demystifying wine. In the past few years the wine consumption in the country has witnessed a steady growth although the current consumption level is still at its formative stage. The growth witnessed in countries like China does give a clearer picture of the future we can be looking at with regard to the increase in wine consumption and appreciation. Having wineries, like the one in Baramati, India has stepped into a global recognition of the new world wine producers and has matched quality with the likes of New Zealand, Australia and South Africa. The food industry has exploded exponentially in India over the past few years as well and it is obvious that eventually wine will too. The marriage of good food and great wine is as natural as the four seasons itself. 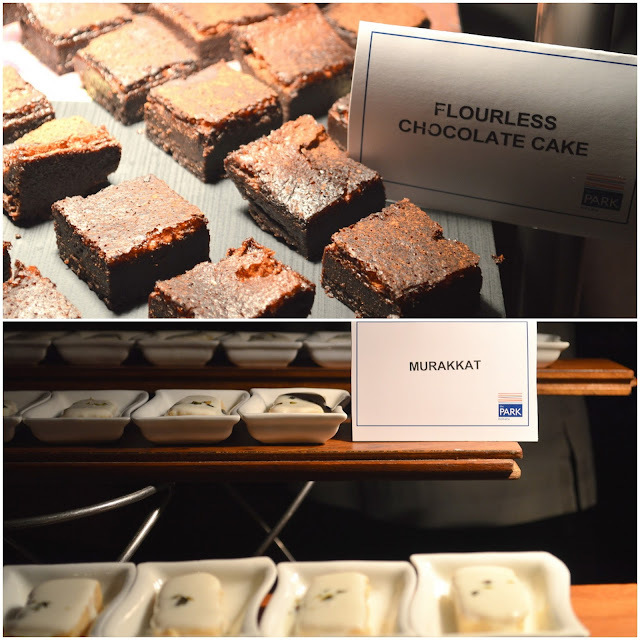 Chef Dewan's spread were like a breath of fresh air exhibiting both, the exquisite flavours and splendid presentation. The flavours were balanced to perfection without any isolated loudness of any specific spices in all the sets of three course service. It was exhilarating to see such an array of explicit dishes come together in a manner that complemented the choice of wine at its disposal. 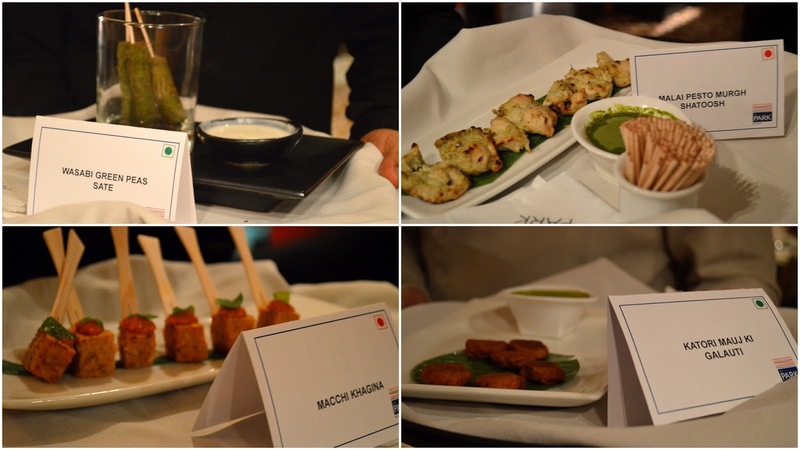 By explicit dishes I mean that each dish had an identity of their own with specific flavours and spices that could be paired with the range of wine that was being served. As I close this review I look forward to the time, in the future nearer than one would imagine, where the weekend home meal invitations would be seconded with the choice of wine in the offering. My home for sure is geared up for the same. 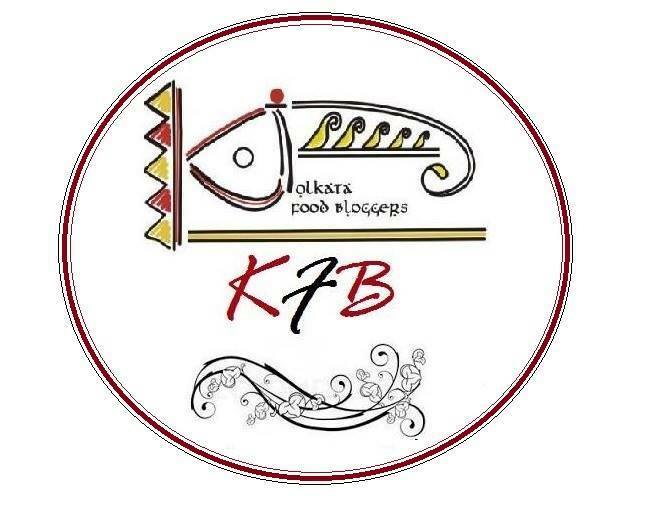 As a part of the Kolkata Food Bloggers group we wish to thank Ginger Claps for extending this invitation to us to experience the Gourmet Indulgence. For more Details on 4 Season's Wine, check here & here. Disclaimer: The reviewer was not paid for the review and was neither influenced to write positively or negatively. The review is an unbiased honest opinion. Gourmet indulgence its for sure, wine with the lovely spread of dishes. You guys seem to be having a gala time.Good wine,good food and good company....Oh what more can you ask for? And yes, you both are looking great. Amrita I think this picture of yours is in fb as well. You are looking so innocent and so pure! 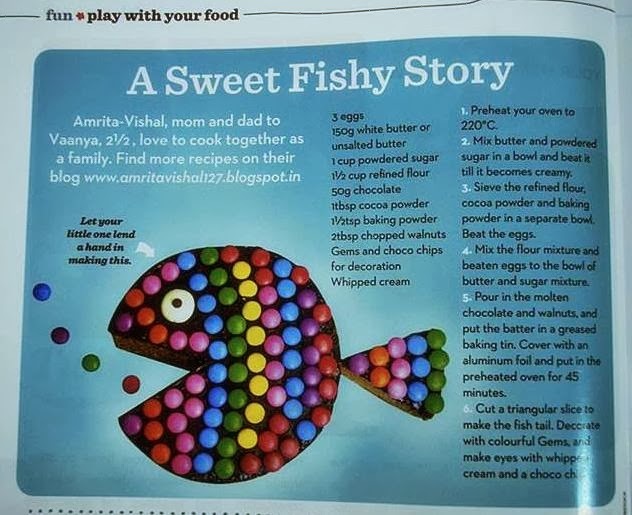 You two are looking great amrita, Lovely write up.